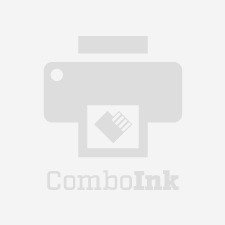 ComboInk replacement HP 65XL combo pack will replace your original equipment manufacturer (OEM) cartridges for a fraction of the cost. This replacement HP printer ink 65XL combo pack includes one each HP 65XL black ink cartridge and HP 65XL color ink cartridge. Our remanufactured HP 65XL ink cartridge is professionally engineered to meet the highest quality and performance standard (ISO-9001). We also inspect our ink cartridges to be leak-free and have no print head nozzle clogging prior to stocking. Using our reliable, discount replacement HP 65 ink XL combo pack of 2, you'll get vibrant, high-quality results from your printer. Plus you can shop with confidence knowing that ComboInk inkjet cartridges are backed with a one-year 100% satisfaction guarantee. Our HP65XL ink combo pack can replace the standard yield HP 65 ink combo pack, HP 65 black ink cartridge and HP 65 tricolor ink cartridge.